Thanks John S. for sharing. Well if the owner was truly going to “update” then I’m glad it didn’t work out! I hope the right person is able to get this house and restore it. What would you guys rather? 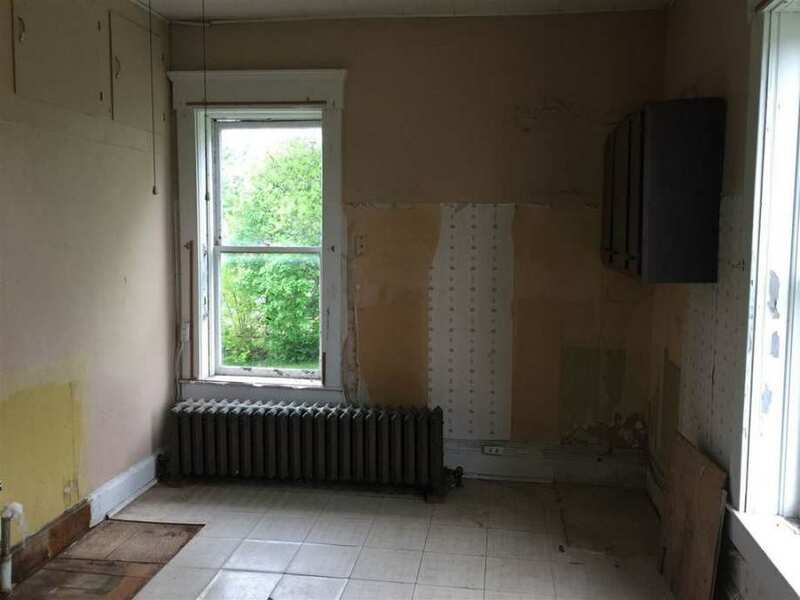 A house be updated (This could mean floor plan changes, extensions, painted woodwork, stripping of mantels, windows, siding, roof, porches, floors, etc) or would you rather see a house be demolished, but fully salvaged for most, if not all, the fixtures? (lights, woodwork, mantels, windows, doors, etc.)? I honestly don’t know where I would stand on the issue, so let’s hear some public opinion. 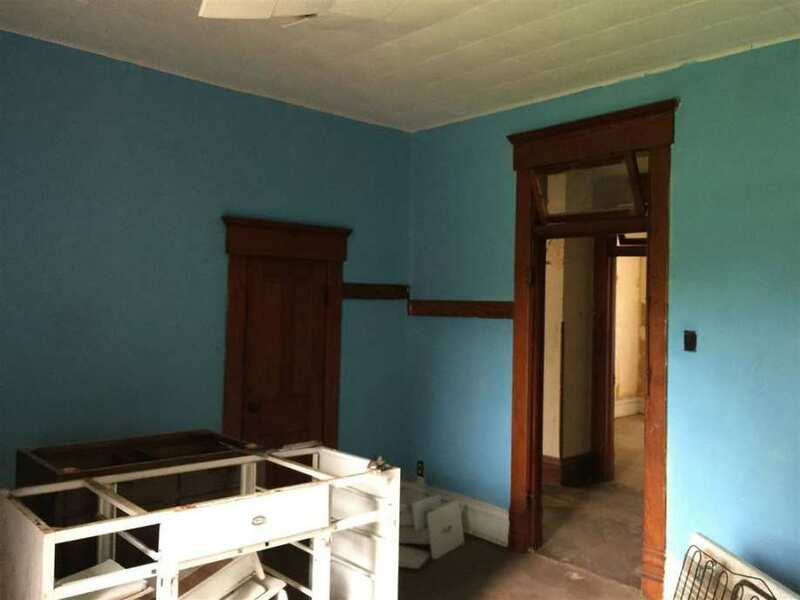 When I am finished restoring my 1894 house it will look pretty much like it did when it was new. All the windows will be restored. Missing features like picture rail and some lost doors will be reinstated. I have already recreated lost porch columns and lost porch railings. Yet, hidden inside the walls and ceilings will be central AC, all new wiring, and all new plumbing. The original radiators already have high-efficiency boilers. In short, an old house can (and should) have all new systems. But tearing out walls and painting all the trim white and punching 6937 can lights into all the ceilings is not required to bring a house into 2017. And I never want to see any old house demolished. I could not have said it better myself Ross. My home started as a 1 over 1,2-bay with end chimney and was expanded over the years to a center chimney saltbox, then a Greek revival mid 19th century. 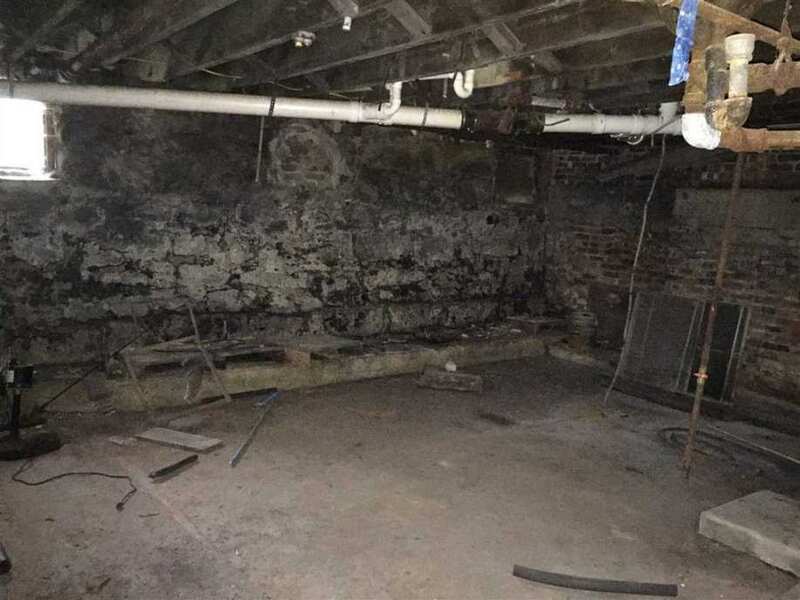 U am undertaking a painstakingly slow restoration, which includes structural work, updated plumbing, a water remediation system, updated electrical and completely new HVAC. It is a daunting project but most of the original historic elements remain and will be the home and setting of my dreams when done. What I can’t reuse, I will purchase from Rudys in Brooklyn, Ct; a treasure trove of historical home architectural items+. To me, a trip to Rudy’s is both delightful and sad because I know this business exists because people needlessly demolish exquisite old homes that cannot be truly replicated today. These structures should be preserved with harvesting architectural salvage only as a last resort. If someone wants a new or modern home, they should build or renovate one without destroying history. 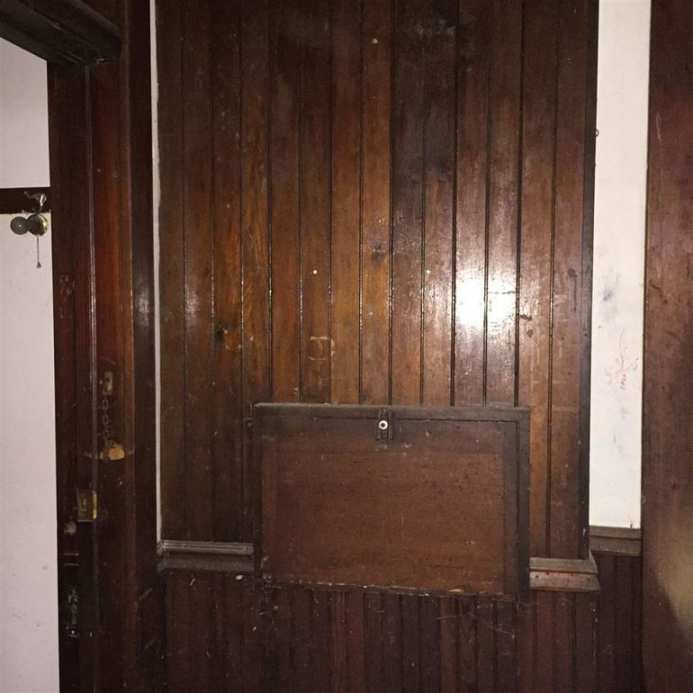 I am trying to find molding to match the original in my Queen Anne classical freestyle home and was wondering if you or anyone has suggestions. Specifically, I am looking for a chair railing and a cap that sits on top of the base molding. Here in Baltimore, there is a company that can make reproductions of any moldings. The expensive part is making the custom knives for the molding machine. You provide a sample of the old molding, they give you a bid, and, if you agree to the price, they produce as many linear feet as you want in the wood of your choice. The price is based on the cost of making the knives plus setting them up on the molding machine, plus the cost per lineal foot. The knife making and setup is a fixed cost per run. The cost per linear foot depends on how much molding you want made. I am sure that their are other companies that do this, but I don’t know of any. They do have a book of past jobs, and if they have the same knives already made, can save you that cost. The company here is R. Thomas Frock on Loch Raven Road in Baltimore. Their number is 410-243-9322. Web site: http://www.rtfrock.com/ . Ted Frock is the owner. You may say that I, my name is Stewart McLean, posted his company and what it does on this site if you want to give him some kind of reference as to how you heard about him. I have had good results on multiple projects when using this company. Hope this has been useful to you. I’m in Canada but my brother in law specializes in making mill work people need who are restoring old houses. There may be someone near you who could replicate your molding you need. I saw it mentioned that you have a blog. Would you care to give us the name and website. I’d love to read it. Found it on the Lustron listing. What an awesome blog! Ross, when is your prediction of when you will be done? 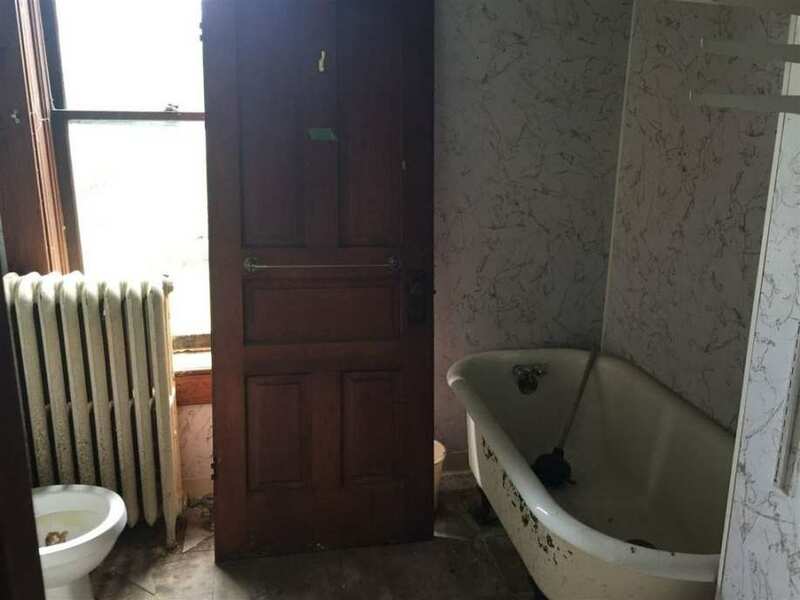 If possible I would prefer to see an old home “restored” with “updating” being limited to plumbing, wiring, maybe adding a bathroom or two. When I have seen the word “updated” I know for the most part I will be disappointed. Ernie, you said it in a nutshell. For me, it always seems to be the kitchen that pays the biggest penalty. That said, I would still rather see an historic building of whatever type survive if at all possible — even if that means it has little semblance to its original self. Renovation/restoration vs.salvage is probably not so black-and-white in most cases. My house wouldn’t even have had indoor plumbing in its original form, never mind electricity or central heat. While there are certainly ways of introducing modern systems unobtrusively in our day, former owners either couldn’t do that or didn’t care to. In addition, many people don’t want to live in a museum. Usually one finds it necessary to strike some sort of balance between or among sensitivity to history, convenience and comfort, and budget. Maybe the question should be: if renovation/restoration isn’t possible should parts and pieces be salvaged; to which the answer must surely be: YES! JRichard, I am SO with you on that. My now-126 yr old former residence was small and quite simple. 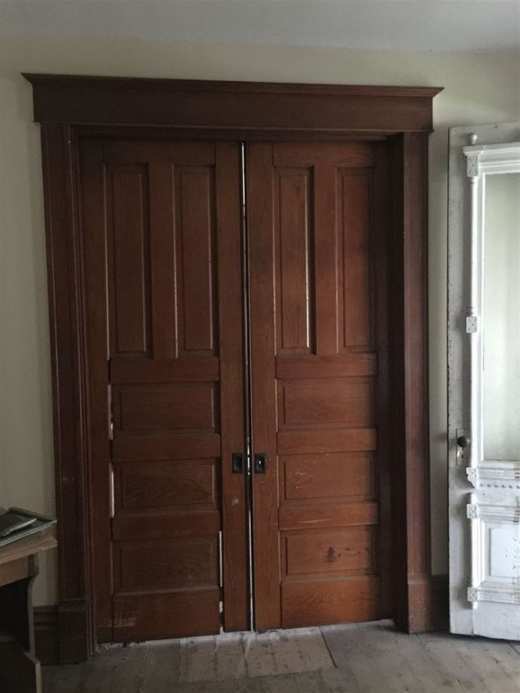 I bought it without any real knowledge of how to specifically handle an historic home, other than logically obvious issues. But I had a monumental love and appreciation for old buildings and was thrilled to have found this house. I initially intended to strip all wood (absolutely everything had been painted). It just wasn’t possible. 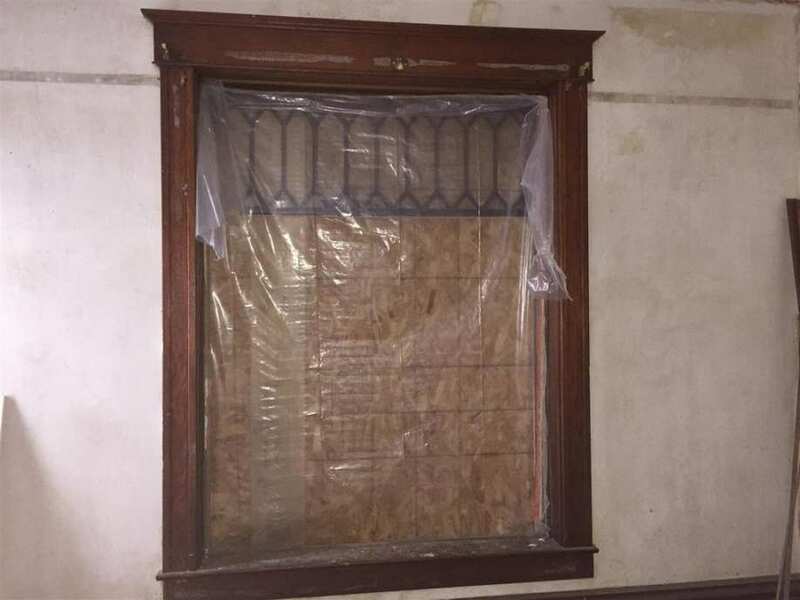 I did discover leaded glass windows, which the contractor wanted to cover back up because he said they would cause exorbitant heat loss. I adamantly refused to have them dry-walled over. I later covered them on the exterior with plexiglass. 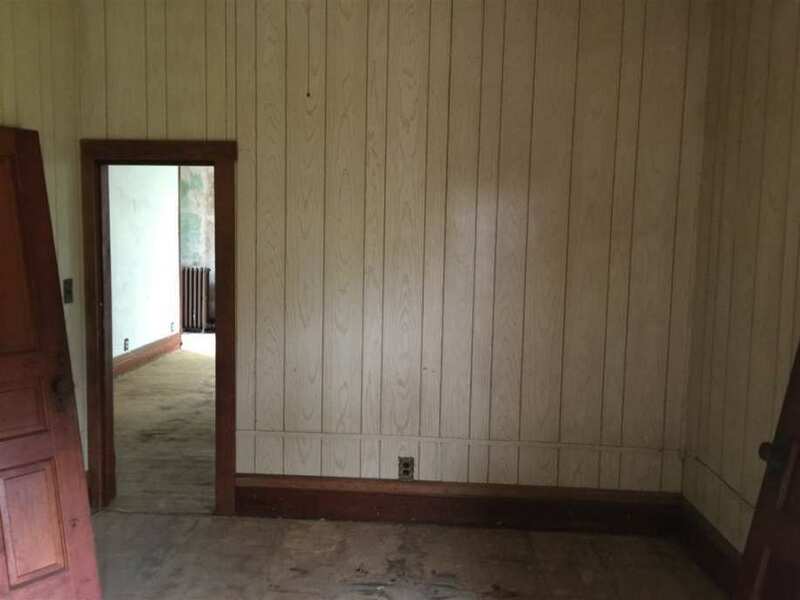 The state of the room where they were located had the dreaded 1970’s wood paneling from floor to ceiling. This was also where the fireplace was. 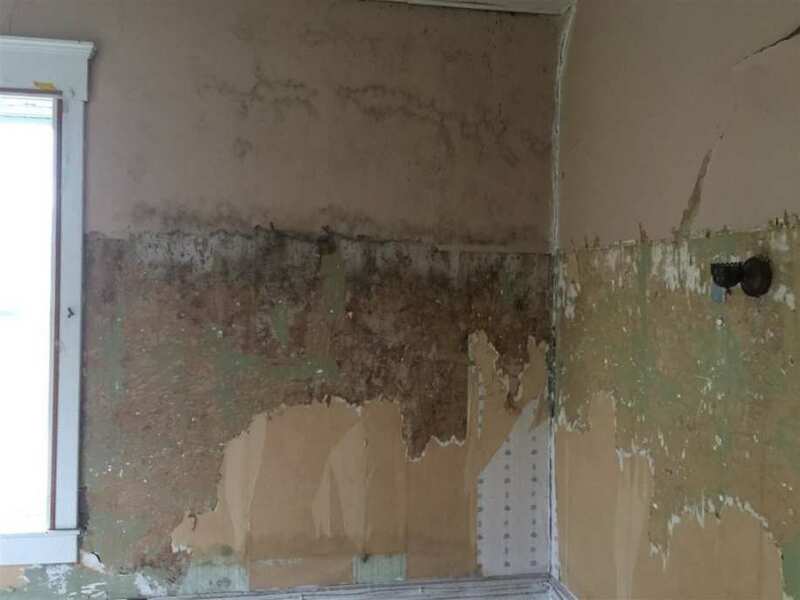 I was unable to restore it in any manner as it was thoroughly a stripped mess from prior owners, so it did get walled up again. I had time constraints imposed by the bank that would not allow the extensive time and effort needed to make it look even halfway presentable. Also, I did a few things that commenters here absolutely abhor and/or disparage. Two were necessary and another just simply made the house more livable. It just isn’t always possible to be a purist, and my changes/fixes did nothing to compromise the sweet little house, though others might fervently disagree. If you were happy in your sweet historic home, that’s what counts the most. A house with no memories is a structure. When the memories of the living infuse the bones of the house, it becomes a home. sounds like you loved your cottage. yes — thank you for the kind words. I would move back to it — but I’d have to win a big lottery. It’s now over $500,000 — 250% more than I sold it for. In my opinion, it depends on the condition of the house and its history, as well as its intended use. 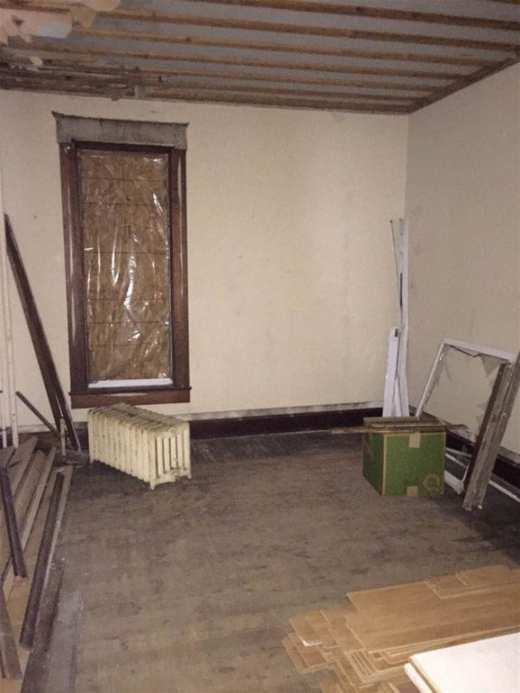 If the condition is so bad that the house is kindling, it might be best to demolish. On the other hand, if the house needs structural repairs and all new systems, then I would vote for bringing it back to former glory. Another consideration is cost to value ratio. That has to be evaluated even if you intend to live in it forever. As to “sensitive restoration”, I don’t want to live in a museum. Example, a house built in 1820 would have no interior bathroom and the kitchen would often be a separate building. That is too period for me. I would not put a Jetson-style futuristic kitchen in a Greek Revival southern plantation home, but I do want modern conveniences. I view those changes to a period home as part of the fabric of its history and ownership. It depends on the neighborhood and the costs involved. There is remodeling and then there’s remuddling. A bad reno destroys that which is precious to us old house fans. There are some great architectural salvage businesses now. So, it really all depends on costs and location whether it’s better to restore or remove. Your question is like asking, which would you prefer, to see your child tortured and murdered by a psychopath or be killed instantly because the poor thing ran into the street and was hit by a car? I don’t hear the choice of seeing my child grow up to be an adult in a loving family, which managed to not instill fear at every turn while allowing the possibility that they might encounter a bad person who could harm them. My preference for the houses to which Kelly has dedicated this site is that the public be educated about the value of the work of master craftspeople and builders. I prefer people who can see what’s good and preserve it. People who know that, although what they are looking at is not of value to them, it still has value and should be preserved. People that know that value can be measured in things other than dollars and cents. – Simply because, while giving lip service to being “green”, these people are embracing the buying of throw away furnishings and destroying the work of past generations in order to become another cog in a plastic society, it doesn’t mean that those who are framing such questions as the only choices care about anyone or anything but there own gratification. – I believe you when you said that you honestly don’t know the answer to the question that you asked, but perhaps you might recognize that the people who are making others think that the only possibilities are those two very limited alternatives are doing so to get you to diminish your standards in order to use you as an example of an “unbiased moderate” of some sort. – If we don’t stand up for what we value as well as recognizing the value in what we don’t, we will watch it all disappear before our eyes. Do I sound outraged? I’m so tired of having my strings pulled in order to make me outraged that I am saddened that everyone now seems to crave being outraged. The destroyers are winning by making being outraged the norm and financially profiting from it. -I hope Kelly doesn’t find this too confrontational to let through. It tires me out to think that that might be the case. After reading the other comments on this subject, I realize that I am coming off as as inflexible purist. I am not. My perception of what other people are saying is that they think we should preserve or restore what we are able to in our homes, but accept that there are so many modern world needs that could not be met when a house was built, that we need to be realistic. We need our homes to fit our needs. I agree. My belief is that, like in the reply where the owner covered the fireplace back up, it just makes sense. On the other hand, he did just cover it, he didn’t demolish it. He could decide that he wants to restore it at some time in the future. Not everything needs to be done urgently. A future owner will still have the ability to open it again. On the other hand, the contractors, who are buying properties and destroying the interiors to make them look like something from a decorating channel, they are destroying things that I think would be better preserved. I’ve thought about this many times before. While I love to see old houses loved and maintained and restored, and I have always wanted one of my own, I’m a realist. If the house is going to be demolished I’d rather have the parts that can be salvaged saved. Because at least then those beautiful items are being saved for people who’d rather restore. If the person is going to remodel the house rather than tear it down, I’d also rather that happen as well. Part of the house remains and is not being wasted, or replaced by a house that is new but not quality construction. I guess what I’m saying is waste irritates me. What I hate most of all is seeing a beautiful old house allowed to fall into ruin with no hope of it being used for anything but landfill. 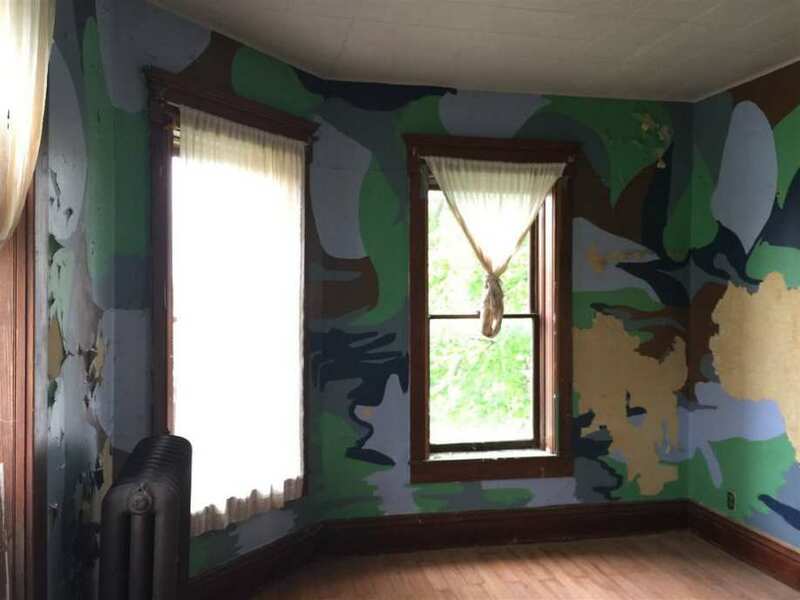 This house is great by the way. 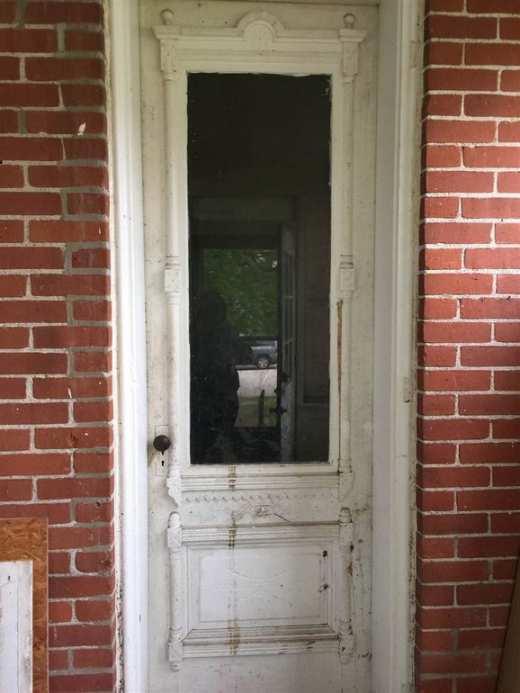 Love old brick houses and this one has some great doors/woodwork as well. Plus a claw foot tub, radiators and transom windows. I’d much rather it be updated, because most of the time the actual architectural details (exterior) remain, which is what most people see anyway. I’d preserve the architecture before I would the hardware. Jpdillion, Either one would be a horrible tragedy. Updating as suggested is like defacing something beautiful. Demolishing is doing away with a piece of history and often an architectural treasure. Being from the Houston Texas area (where the demolish pretty much everything old, exception of one area) and don’t tend to value these things as much, your question makes me cringe. The only good outcome is restoration. 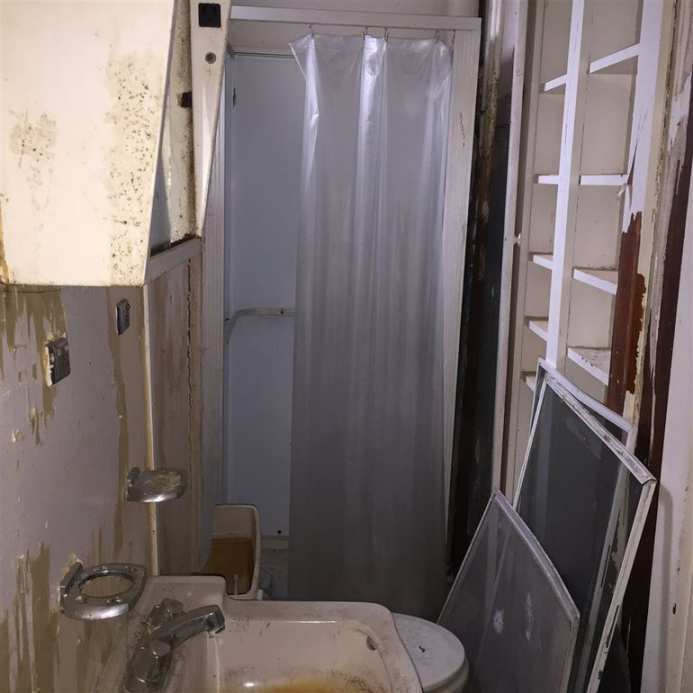 People who buy a home like this should be ready to do just that, anything else is a sad loss. definitely will take some elbow grease. Seems a deal for the space. Has not had a good run in rental-land. The brick exterior gives me some encouragement. The interior, not so much. It is going to take someone with some experience on this project in my opinion! I would much rather see a house be updated than demolished. When you update, you can do it a bit at a time – there is no need to have a huge amount of cash up front, to do the updating all at once. A labor of love takes time, especially in cases like this. My current house is a 1910 tudor with craftsman influences. It is my 5th major restoration and perhaps my last. I did things when I got my first house at 28 years old that I would never do now. I have come to see over time how important that it is to keep things original and above all be patient. I would recommend to anyone doing a house to start slowly and not rush. Something that you initially thought would be good in retrospect 6 months later would have been a mistake. I agree with Ross about the white woodwork and can lights. Just so HGTV. Another thing that I especially always judge a restoration by is the quality of the light fixtures and the colors chosen for paint both inside and out. I certainly think it always better to save an old house because as we all know they don’t build them like they used to. Thanks for posting. 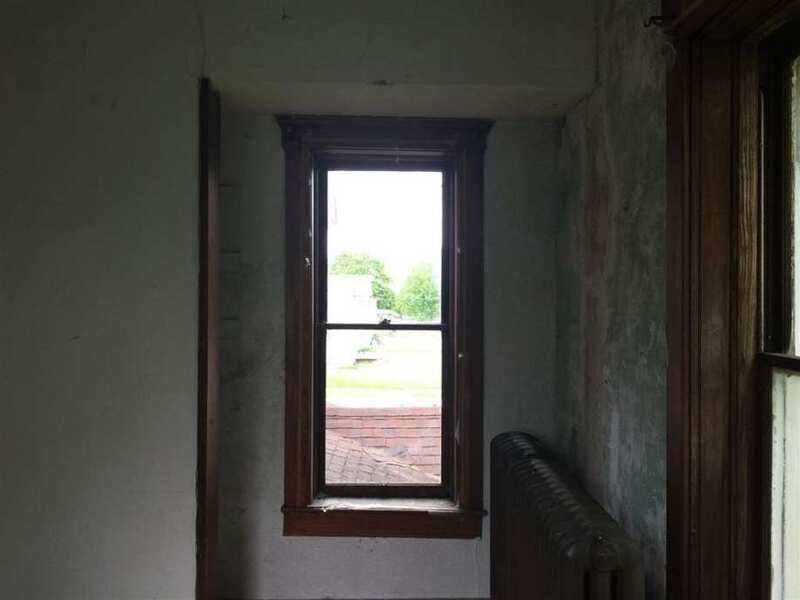 This circa 1900 home could look great again with some TLC. It appears a few antiques may have been left in the attic and/or basement. First task would be to clean up the place and sort through the detritus and architectural elements left in the rooms. 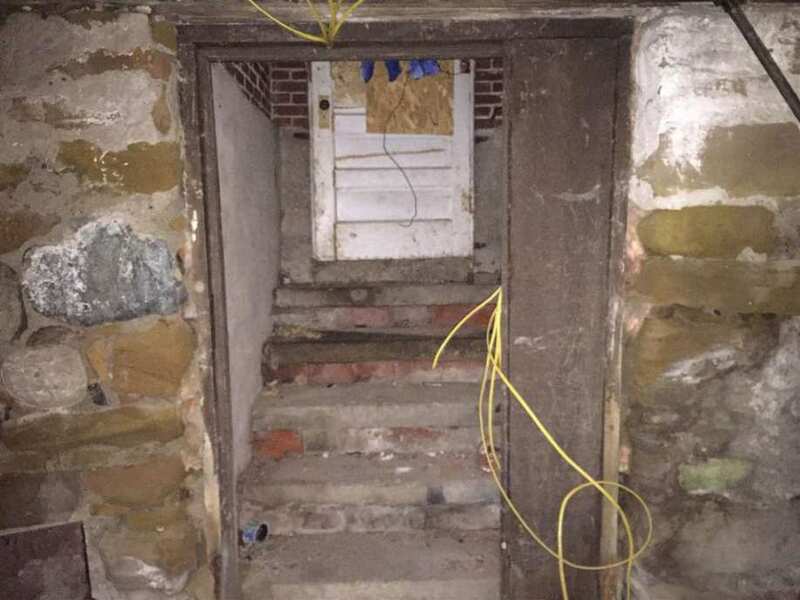 Too bad one cannot see the staircase-for some it might determine the feasibility of taking on this project although if missing, salvage versions can be found. (usually not cheap) It may be that the staircase was enclosed at some point in the past although most staircases from this period were originally open. The brickwork appears to be sound. 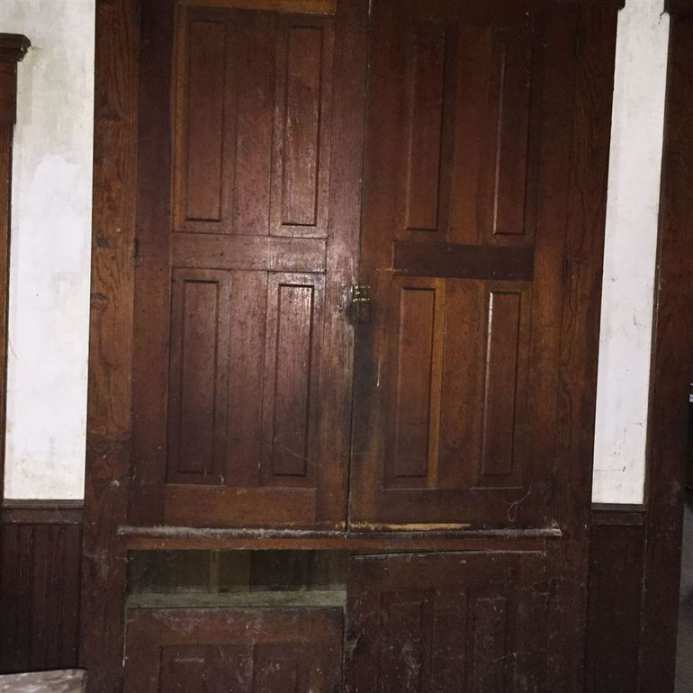 (take a look at the high resolution version by Bruce Wicks/”Tourism Guy” https://www.flickr.com/photos/tourismguy/5556016054/sizes/o/ ) Nice original entry door is seen which was probably clear finished when it was new. I suspect the original front porch was open and perhaps went out to the end of the house corner or even wrapped around it. A period photo would be very helpful here. 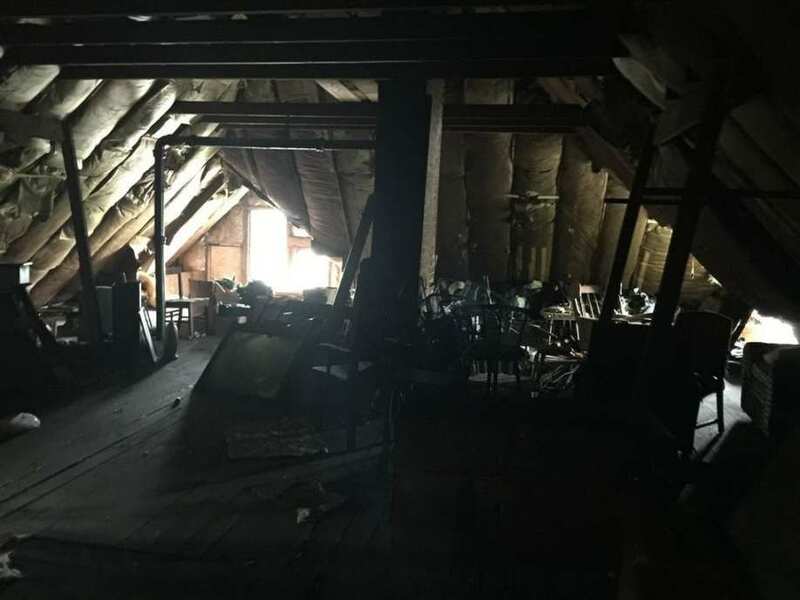 As for whether to tear it down for salvage or restore it-that seems like a no-brainer for such a solid looking home to restore it or at least rehab it so the vintage home can be around for another century for a family to cherish. Far too many old houses are disposed of for demolition because our instant gratification culture focuses on brand new and modern with little value placed on the things of the past. 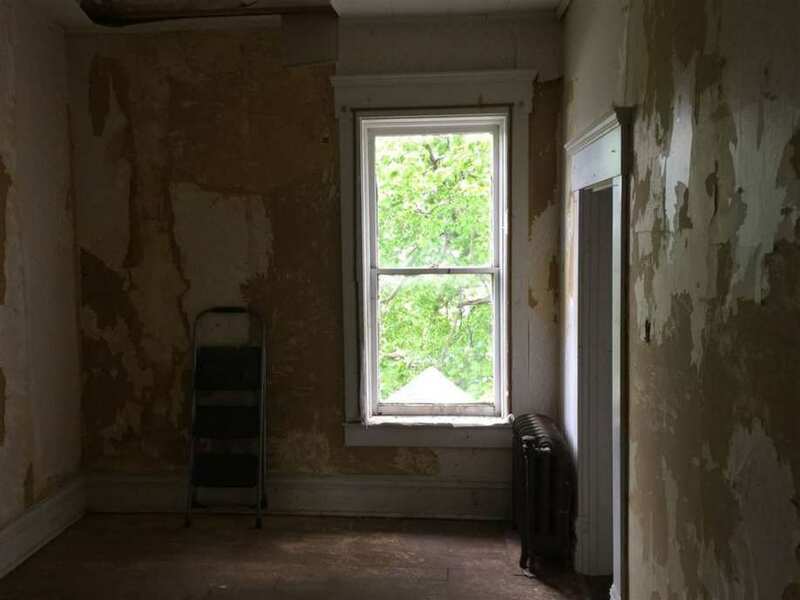 I’m being completely honest when I state that I’ve seen very few old houses that are so deteriorated to be truly beyond being saved although I hurry to add that some total rehabs do not make economic sense. When it cost more to rehab a house than it could ever be worth, then it falls into the labor of love category. Not everything has to be viewed in terms of profitability as every old house was someone’s home, even for several generations of a single family. 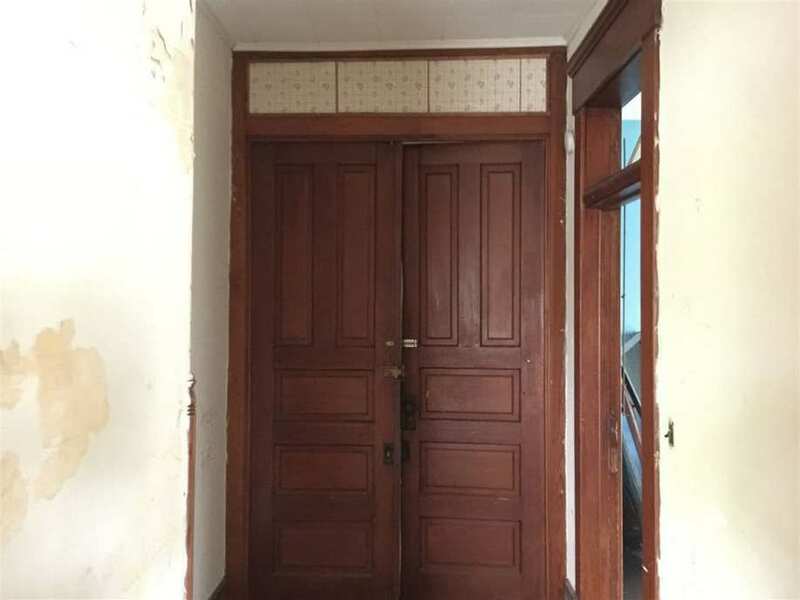 Thus, old houses have intangible, sentimental value as they become closely connected to the people who lived there and the emotional drama of their lives. 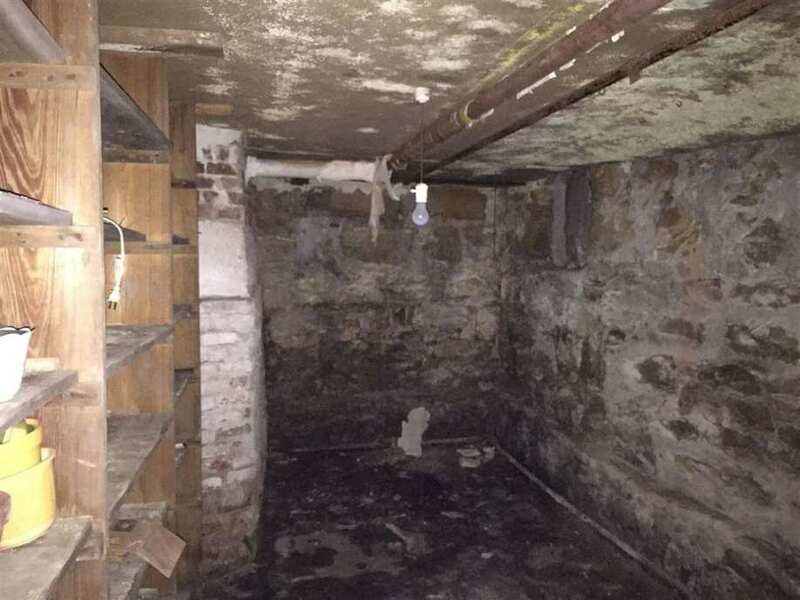 No wonder old houses sometimes become hotspots for paranormal activity. Old houses often have stories to tell us if we pay attention. I have visited your blog several times. I wish more people had the vision and determination that you have. The work you have done on your house is inspirational. I, like a lot of people here, value your opinion and insight! Seems to be a question of semantics, and what each person means by “update”, Some tiny bedroons in older houses that run down halls w. way too many doors could use a floor plan revisions for a double bed and some closet space. Each case is probably different and we will have to see the plans to vote on this idea. One thing for sure IS- the little tiny modern kitchens are unacceptable for me as is the idea of people and kids taking their meals in the privacy of their “rooms”. Really interesting comments; almost an education in themselves. I have some experience with wood restoration, and not much else. From reading people’s comments, I get that restoring woodwork is an art all its own. Those who have stripping experience know all too well how laborious it is. Original varnish, however, is a delight to work with, even with all the wrinkles and alligatoring. A simple solvent and patience can work wonders, and the same is true of furniture. How I hate stripped furniture and high-grade woodwork. Just my two cents. Posted last year, reduced in price, thought I’d move it to the front page for another look. Comments above may be older. Too bad it hasn’t sold yet. But Goodland, Indiana, is a smaller rural town about 40 miles northwest of the city of Lafayette making it appeal to a smaller number of potential buyers. That is problematic nationwide as larger cities continue to expand and grow while rural smaller towns at best remain stable or, in many places, continue to lose population. The small town plight is not likely to improve anytime soon unless somehow economic incentives were available to make small town living less of an economic disadvantage. 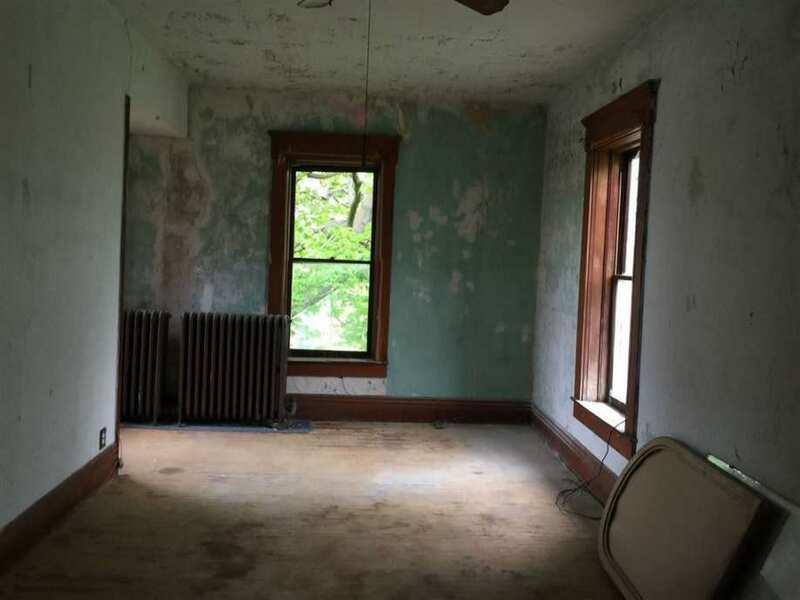 As for this solid brick house, I realize it needs a fair amount of work but its not gutted or severely “remuddled” inside so a first class restoration still seems possible. 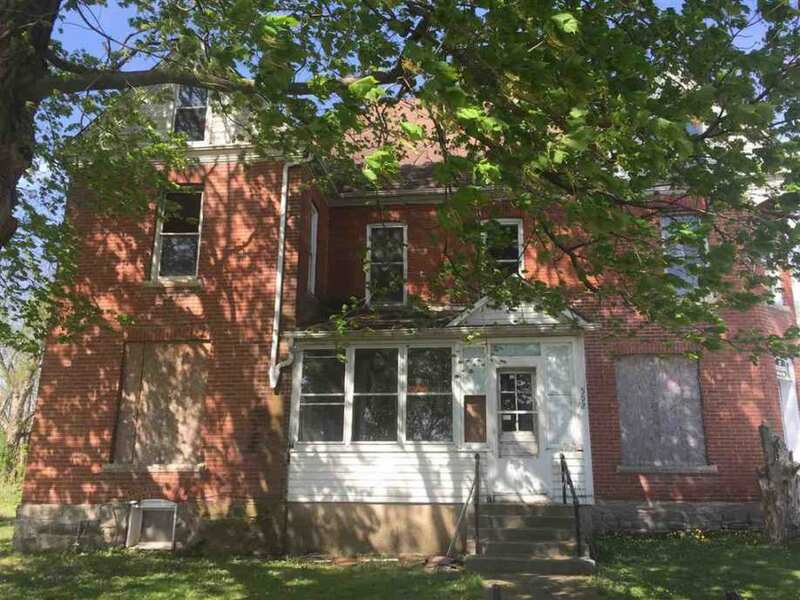 I’ll keep my fingers crossed that someone will recognize the potential of this house and will be comfortable living in it and being part of the surrounding community. It sits on just over an acre lot so the next owner could also have an impressive garden next to their home. I like what you said above: “Old houses have intangible, sentimental value as they become closely connected to the people who lived there.” That’s especially important in small towns, where old homes and buildings provide a sense of place for people whose families may have been there for generations. Incentives and access to rehab financing saving thousands of older homes is far more efficient and “green” than new construction of any kind, in addition to the intangible benefits. I found an old photo on a genealogy site of the Brook family of Goodland in front of their brick home a century ago. Not a good house photo, but there’s enough detail to confirm that it’s this house, although the porch they’re standing by that wrapped around the front is long gone. Thanks for the old photo link. The porch columns and diamond paned Colonial sash in the background do tie this house to the 1895-1910 era, as Tom stated. There could have been another structure of some kind on the site in 1879 that was either combined with the current structure or was lost at some point in the past. I bet some of the local genealogical/historical resources have a photo of this house showing what it originally looked like. Definitely not 1879. 1895 to 1910 likely. hurts every time I see all these things happen. When people do these things, those who restore old houses must scour the city/country looking for the pieces to replace what has been destroyed. However, I would NEVER advocate tearing an old house down for salvage until EVERY other option has been exhausted. Very long comment, I know, but it’s passion talking.